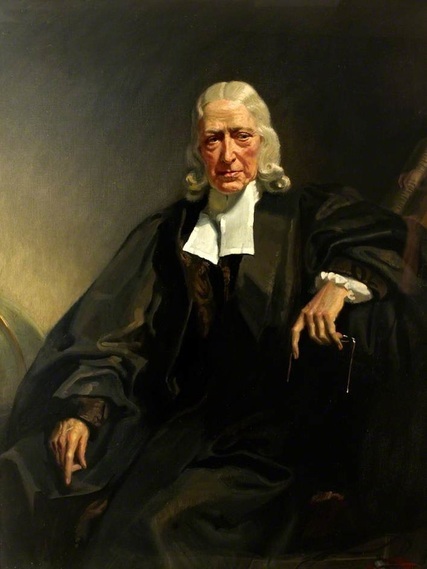 What difference does it make to read the Bible as followers of John Wesley? As an ordained pastor in the United Methodist Church, I'm deeply sympathetic to the thinking of John Wesley (left). Here are three articles I wrote for the Wesleyan Theological Journal. At the time I write this, the first one is only available through the ATLA Religion Database. The other two are accessible both online and through the ATLA Religion Database. "Wrestling with Marduk: Old Testament Parallels and Prevenient Grace." Wesleyan Theological Journal 48.2 (2013): 181-192. If you're using a university or library network with subscription to EBSCO's ALTA Religion Database, click here to access the article. "Defending the Old Testament's Worth: John Wesley's Reaction to the Rebirth of Marcionism." Wesleyan Theological Journal 42.2 (2007): 28-51. Click to view. "The Puzzle of Perfection: Growth in John Wesley's Doctrine of Perfection." Wesleyan Theological Journal 38.2 (2003): 124–142. Click to view. An important and controversial topic in Wesleyan theology is the doctrine of Christian perfection. I wrote the entry on "perfection" in the Dictionary of Scripture and Ethics. Despite its title, it is (like all my work) far from perfect.